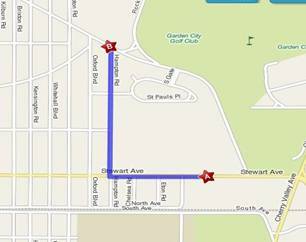 ST. PAULS ADDRESS - 295 STEWART AVE.
proceed west on Stewart Ave to St. Paul’s School. See local directions below. FROM NORTH - Take Meadowbrook Pkwy. 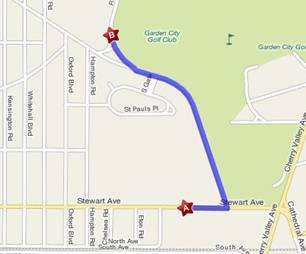 South to Stewart Ave. Exit (M3W STEWART AVE WEST) Proceed west to St. Paul’s School. See local directions below. FROM SOUTH - Take Meadowbrook Pkwy. 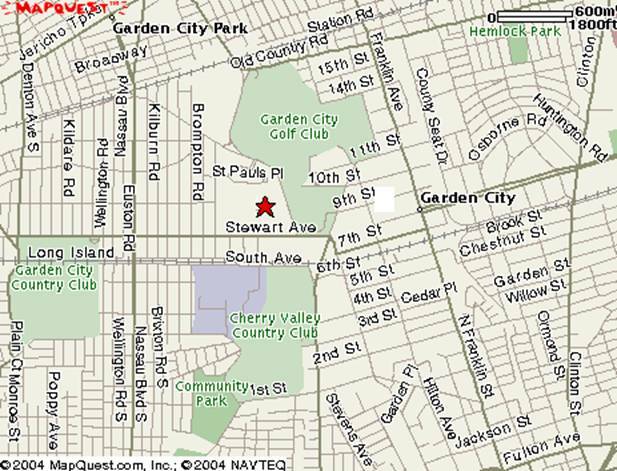 North to Stewart Ave. Exit (M3W-GARDEN CITY) Proceed west on Stewart Ave. to St. Paul’s School. See local directions below. on Stewart Ave from St. Pauls. Make a rt at first light (Hampton Rd.) Take Hampton Rd. through light and enter parking lot on rt. Fields are in back. turf field is on rt. You can also go to GCHS by proceeding north on Rockaway Ave.and stay left when you see high school and merge onto Merillon AVE. Then follow directions above.